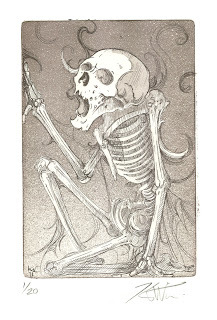 Skull & Bones Gallery: "Haunted"
We are happy to announce the release of Kurt's latest print, "Haunted"! 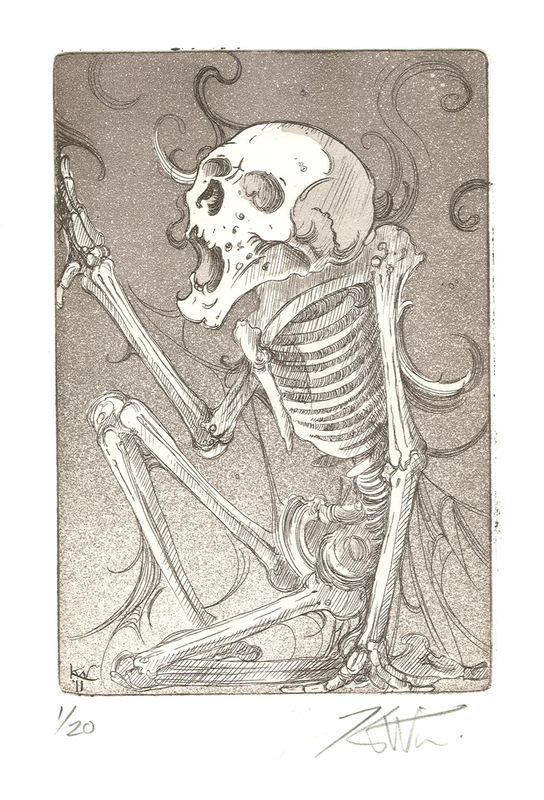 This is a Limited Edition Etching of 20. Each print is hand pulled on high quality art paper. These are available at our gallery or by mail order (click here).